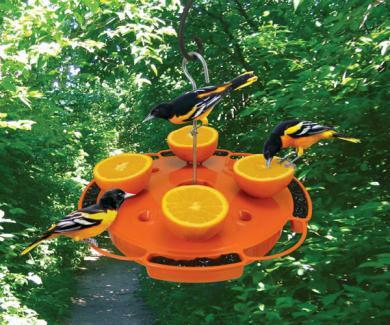 The Baltimore Oriole with its brilliant orange and black plumage,is eagerly awaited by birders each spring migration. Its preference for open areas with tall trees has made it a common inhabitant of parks and suburban areas. DID YOU KNOW...The Oriole bird received its name from the fact that the male's colors resemble those on the coat-of-arms of Lord Baltimore? Boil the water first, then measure and add sugar, at the rate of 1/3 cup of sugar to 2 cups of water. Let cool and store excess in refrigerator until ready to use. 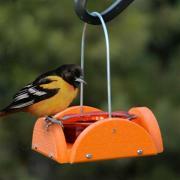 Although commercial oriole food is usually orange colored, do not add food coloring, honey (which ferments), or artificial sweetener to this homemade oriole food recipe. 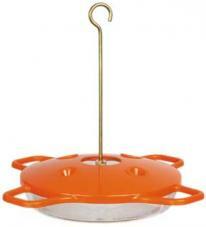 You will need to clean your feeder every few days, with hot water and a mild (10%) bleach solution to inhibit mold. 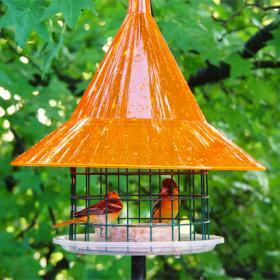 Rinse thoroughly before refilling with water oriole nectar recipe. 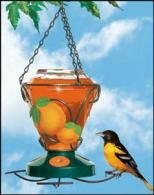 Hummingbirds and Orioles both like a sugar mix recipe and Orioles in particular like oranges and jelly. Pound a nail into the siding on your house and cut an orange in half and place it over the nail. You can also place a wood or metal stick into the ground and place a half orange on to the pointed end of the stick. Try to keep this stick at eye level for better Oriole viewing. Orioles will love this orange treat. 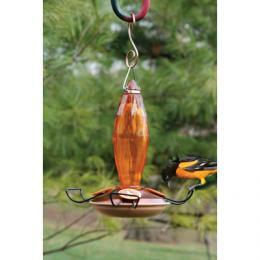 Place your Oriole nectar feeders close to the trees and vegetation where you have seen the birds in your yard. 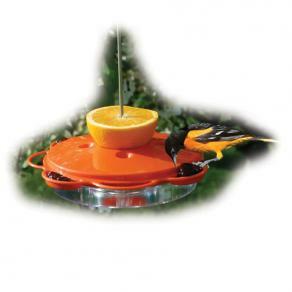 Once they start using the Oriole feeders you can slowly move them towards your home for better viewing. 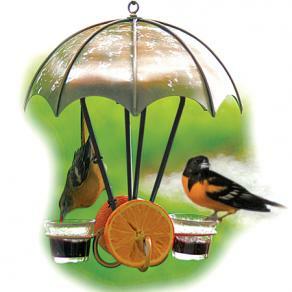 For an extraordinary treat, try adding a spoon full of grape jelly to the feeder nectar! 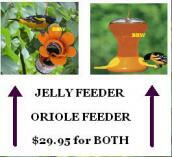 You can also use a small dish to provide jelly for your orioles. 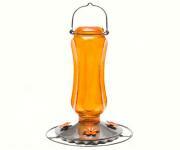 Below are some of our best selling oriole feeders. 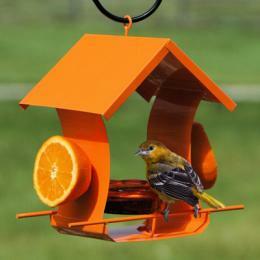 by its more orange breast and less gray upperparts. Hooded and Orchard orioles have more extensively yellow underparts. Length and wingspan from: Robbins, C.S., Bruun, B., Zim, H.S., (1966). Birds of North America. New York: Western Publishing Company, Inc.